In a post to the official T-Mobile blog, CEO John Legere announced that the company will begin to crack down on data thieves beginning today. The issue stems from abusers of the carrier’s unlimited high-speed data plan, which also grants a small portion of high-speed data for tethering devices. According to Legere, approximately 3,000 T-Mobile customers are willfully stealing about 2TBs (yes, terabytes) of data for tethering each month. Utilizing rooted phones, software to help mask network activity, and other various means, these apparent evil-doers are not adding to an honest customer’s experience on T-Mobile. So, to put it simply, Legere is going to shut them down. From reading the blog, it is clear Legere is passionate on stopping the data thieves, but assures honest customers that they have nothing to fear. The group of “thieves” is roughly 1/100 of one percent of 59 million customers, so odds are, your 50GB or 100GB a month of Netflix and whatever else you are doing is not an issue. Legere is going after the big fish. 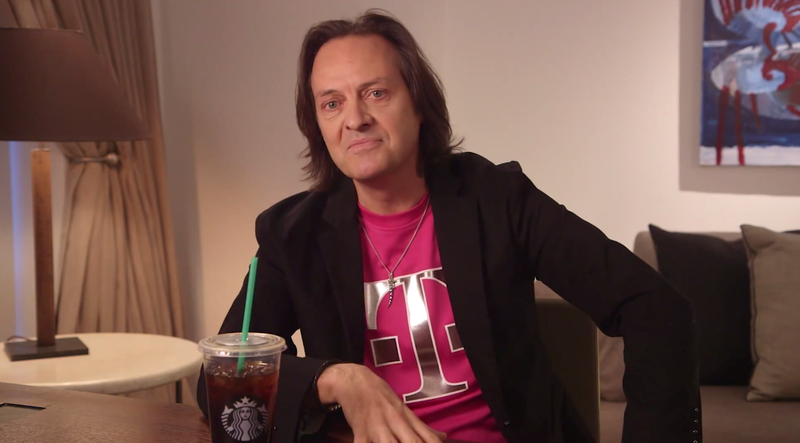 T-Mobile’s first action will be to send out warnings to those who are abusing the network. If nothing changes, access to the plan will be lost, followed by be moved to an entry-level limited 4G LTE data plan. The company issued a document into their forum to breakdown exactly what they intend to do, viewable here. The moral of the story is, if you tether 2TBs of high-speed data a month, Legere will warn you about it, and then move you to a different plan. Ouch, that slap on the wrist hurts, John!